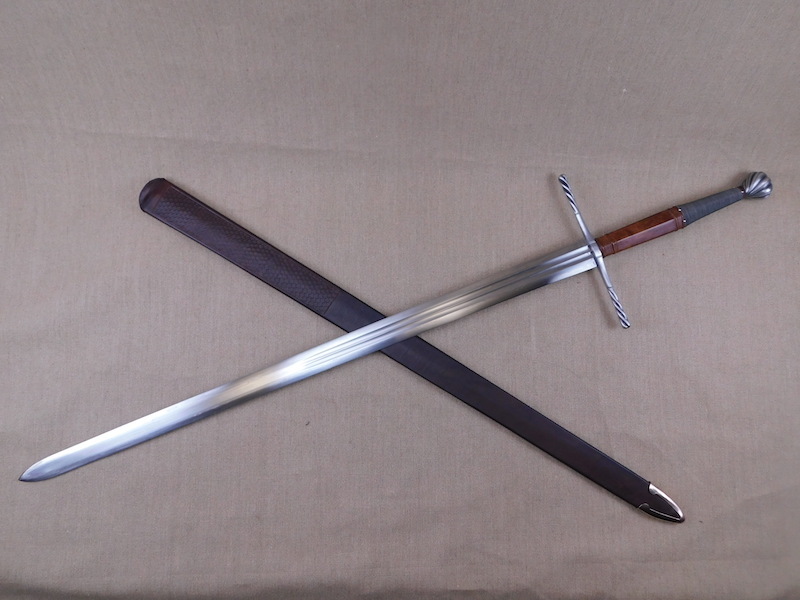 Here are a couple of new scabbards just about to leave the shop and I thought I would share them with you. 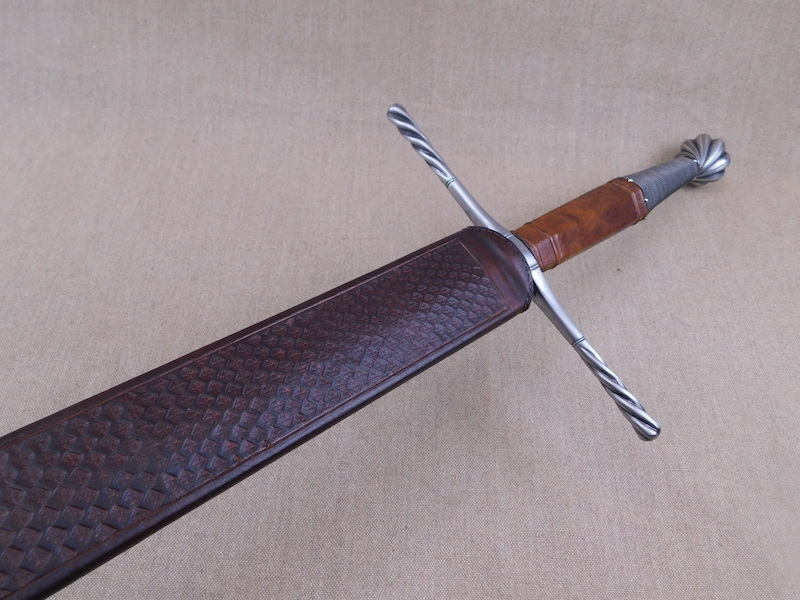 The first is a 'transit' scabbard for an Albion Maximilian. 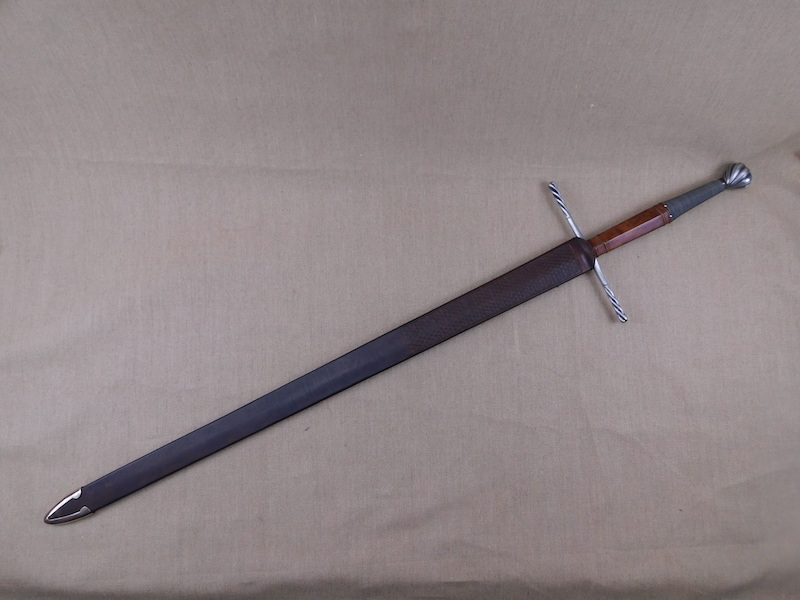 These two handed sword were to worn, but were carried around by hand, over the shoulder or on carts and so as they were sharp, they of course were a hazard and so this is a scabbard without harness, for simply keeping the blade safe. It is poplar cored and covered in veg tan leather with some stamping and a rounded rain flap and finished with a simple bronze chape. 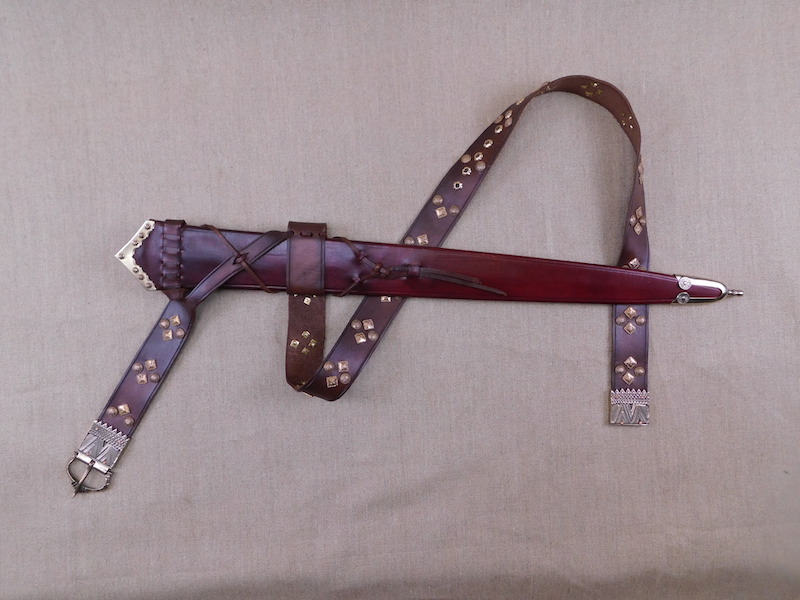 The second scabbard is for an Albion Yeoman and is again poplar cored and covered in veg tan leather with simple incised lines and finished in a bronze chape. 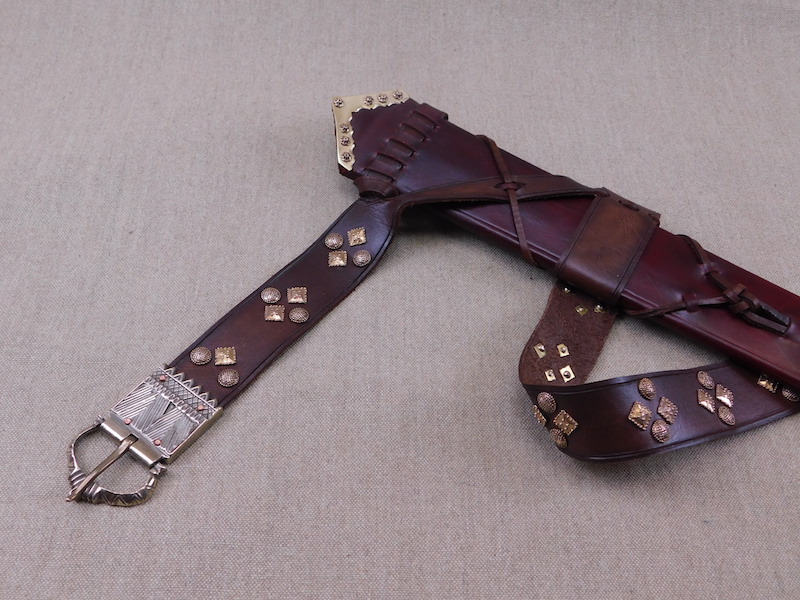 The belt is an integrated and crossed style with a cast bronze buckle and a whole load of studs. I hope you like it and if you have any questions or comments, please fire away. Love the color treatment on the Yeoman scabbard. Good to see alternatives to shades of brown & black. I really like that stamping pattern on the Maximilian scabbard. I particularly like the Yeoman scabbard for being elegant and yet dressed-down. 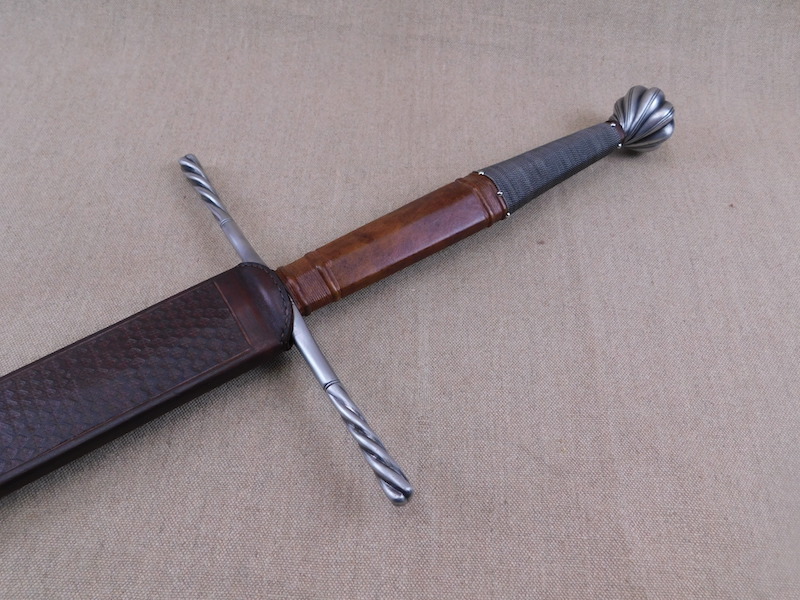 The customer made a good choice in selecting a scabbard design that had minimal tooling, and instead relied upon belt decor, a dressed-up chape, and the metalwork at the throat of the scabbard. 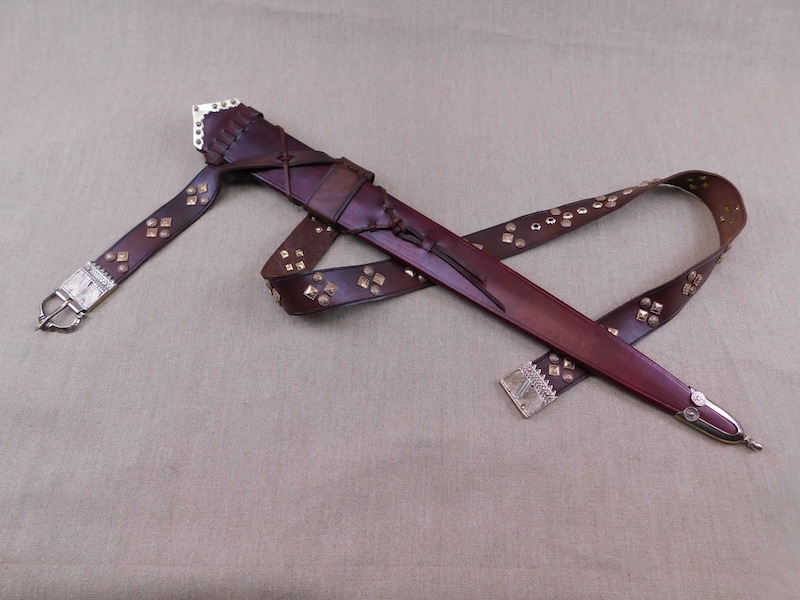 Too many customers try to do too much with their scabbards/belts; this one has a cleanness that is still very elegant and appealing. 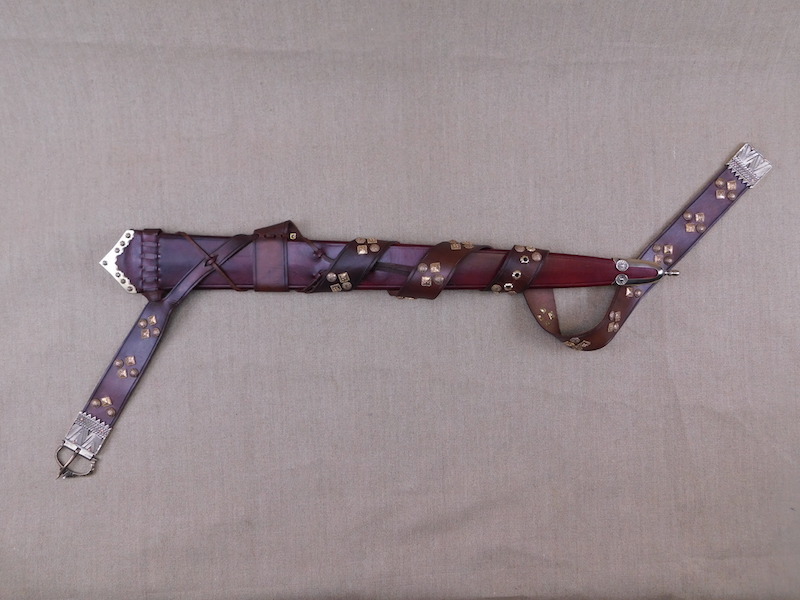 I also prefer understated sword scabbards, but I can of course turn on the fancy stuff when required, though I particularly like making the metalwork. Received these today, and what can I say...Fantastic work, absolutely stunning.